How much do Australia solar leads cost? According to abc.net.au, based on the report from the Energy Supply Association of Australia, Australia has the highest rate of household solar panel installation in the world. More and more residential and businesses in Australia are buying solar panels because of its benefits. It is a safe and clean source of energy. The solar panel is more affordable. Solar energy helps save natural resources. Solar energy usage reduces the import of fossil fuels. No pollutants generated, so costs involved in complying with environmental regulations can be avoided. It can save thousands of money. Because of these benefits, the demand for solar panels is expected to increase to 50% by the year 2020. It also helped because the Australian government is encouraging homeowners and businesses to use solar power by introducing rebates and incentives to those who are using it. No wonder more and more new companies would like to market solar panels. Because the competition is tough, many solar companies are looking for ways to increase the number of leads to increase their revenue and refrain from bankruptcy. But for a solar company who would consider outsourcing their solar lead generation campaign? Ideally, how much should solar leads cost? When you choose to buy solar leads, you’re aiming for quality. 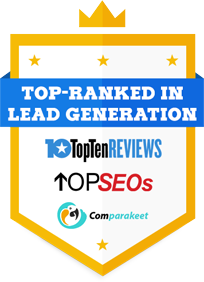 Many lead generation companies are claiming they offer the best lead generation service in Australia for delivering high-quality solar leads and an increase in ROI. A lead provided by companies who offer lead generation service is a potential prospect. Meaning, most of the time, they are only looking for opportunities for you to talk to a qualified prospect but the selling part is up to you. So I don’t think the focus should be on the amount you paid per lead but on how many leads were converted into a sale. Let’s say you sign up for a 3-month contract with a B2B lead generation campaign, and you paid for 15,000 AUD. They delivered 25 leads for you and you converted 5 leads into a sale. In an article from choice.com.au, according to the Alternative Energy Association (ATA), the overall average cost of a fully installed 2.0kW system, before rebates and discounts, in 2013 was roughly $4400. But larger systems will cost more – in our 2014 solar survey, we found on average our members paid $8243 after all rebates and discounts. Note: You need to consider your effort including a site visit, etc; the installation and the payment of your technician, etc. Bottom line is what’s important is the quality of leads delivered to you by an outsourced lead generation company. Paying $15,000 but getting $40,000+ in return can be considered a good ROI. So it’s best to research first for companies who can provide you with quality leads that are easily converted rather than paying low but getting very low ROI. https://www.callboxinc.com.au/wp-content/uploads/2017/10/Untitled-design-24.png 352 800 Dara Lin https://www.callboxinc.com.au/wp-content/uploads/2019/01/callbox-logo.png Dara Lin2017-10-13 06:07:072018-10-01 14:55:47How much do Australia solar leads cost?